Armistice Day (now known as Veterans Day) was started in 1919 by President Wilson to celebrate the end of World War I on November 11, 1918. 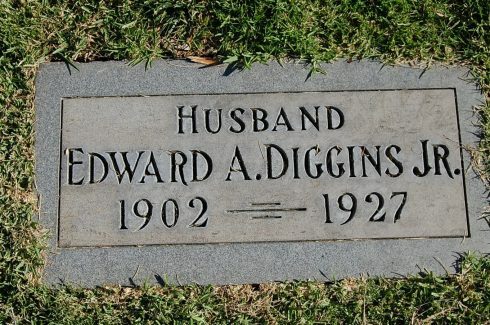 In 1922, Hollywood decided to celebrate the new holiday with a parade, a ceremony at the Hollywood American Legion Stadium, and a tree planting ceremony at Hollywood High School. On November 22, 1922, the parade, led by mounted police officers from the Hollywood Division, began at the corner of Hollywood and Highland, marched its way east, weaving through the streets of Hollywood before arriving at the American Legion Stadium on El Centro. At the stadium, the legionnaires and guests of the day were met by actor Walter Long, who was also commander of Hollywood Post 43. 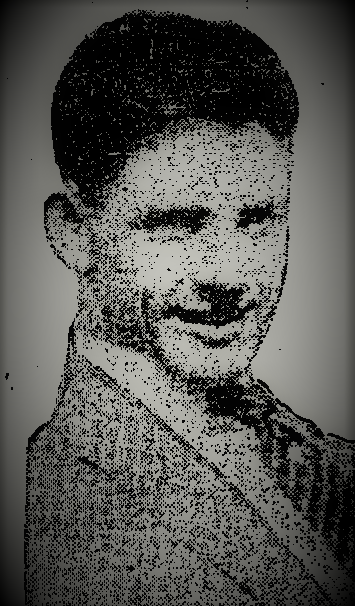 Long introduced fellow actor Bert Lytell, who served as Master of Ceremonies. Several war heroes were introduced, and their stories told to rounds of applause and the dispersion of gold medals. 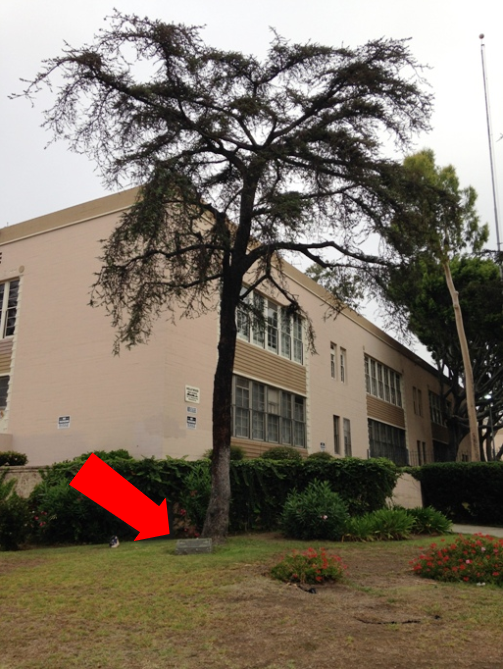 Before this all occurred, though, a tree was planted and dedicated on the grounds of Hollywood High School as a living memorial to those who made the supreme sacrifice. On the northwest corner of Sunset and Highland, people gathered as Dr. Frank Roudenbush, rector of St. Thomas Episcopal, delivered the dedicatory talk and invocation. On behalf of the school, A. B. Forster, acting principal, responded. The Hollywood Post band played, followed by a few words from Leonard Wilson, vice commander of the Post. However, there’s no way to know if this is the original dedication spot or the original tree. 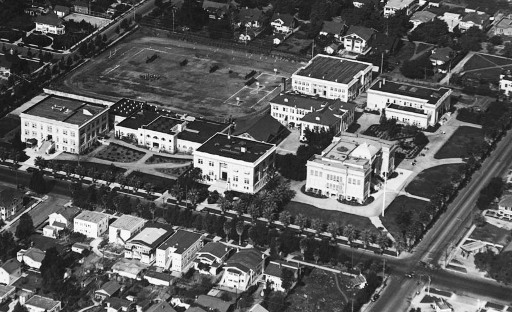 Hollywood High School has gone through many changes over the past one-hundred years including the 1933 earthquake that destroyed several of the original 1903 buildings including the one next to the tree. 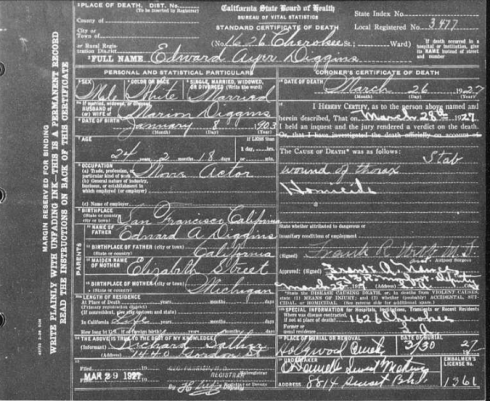 Could it have survived in its original spot for 92-plus years? Also, I’m not a tree expert, but does that tree look as if it could be that old? I’m not sure. 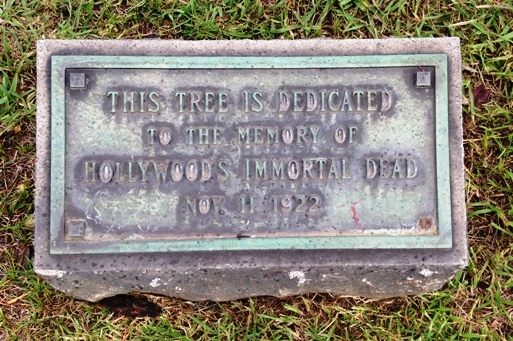 Regardless of whether it’s the original spot or tree, it’s amazing—it’s a miracle—that the plaque survived all those years when there are several historical markers in Hollywood that have disappeared.